Carrie Felice graduated from Henderson State University in 1995 with a Bachelor of Arts degree in Public Administration and from Regent University in 2003 with a Master of Arts degree in Public Policy. She graduated from Regent University School of Law in 2005. 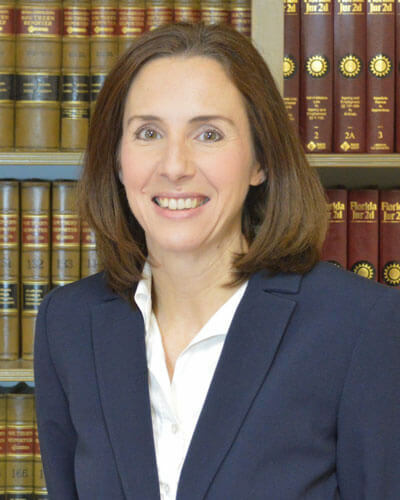 Ms. Felice was admitted to the Florida Bar in 2005, the Arkansas Bar in 2011 and the U.S. District Court for the Middle District of Florida in 2013. Her experience includes serving as an attorney for the Southwest Florida Water Management District from 2006-2014. While at the water management district, Ms. Felice handled a wide variety of matters including real estate, contracts, regulatory permitting and compliance, administrative law, Sunshine Law and public records issues, intergovernmental agreements, and general government law. Ms. Felice joined the Hogan Law Firm in 2014 and practices in the areas of government law,real estate, and commercial litigation.